She wraps her voice around a Brazilian soccer chant, a folk-funk spiritual, even the sound of skipping stones across the water. With influences from Shawn Colvin and Joao Gilberto to Sweet Honey in the Rock, ERIN CORDAY brings world- class musicianship to an astonishing repertoire of songs, rhythms, and acapella spells. Her remarkable rendition of Sting's "Fragil" is sung in Portuguese, "Blue Moon" ends with a samba rhythm created entirely by mouth percussion, and her Mbira Guitar sounds like African thumb piano on "Pot on the Stove." Percussionist JOEL LITWIN lends backing vocals and accompanies on everything from drum kit, frame drum and shakers to a slightly battered briefcase. Erin Corday has shared top billing in major venues (900 - 1500 seats) with The Paperboys, Windham Hill's Nightnoise, and the Flying Karamozov Brothers. She has also opened for numerous international atists including Donovan, Michael Doucet & Beausoleil, Richard Thompson, David Grisman, the Blind Boys of Alabama, Ferron, Martin Simpson, and Brazilian superstar Milton Nascimento. Touring extensively throughout the year, Corday's outstanding live performances have also won her Mainstage bookings from the Ottawa Folk Festival to the Primer Festival de Verano in Mexico City. An incredibly versatile artist, Corday has also collaborated onstage and on panel workshops with musicians of many styles - including songwriters Catie Curtis, Jim Page, Reggie Garrett and Rose Polenzani, the phenomenal hot jazz guitarist Bob Brozman, urban blues harp master Phil Wiggins (Cephas & Wiggins), and Czech mandolin virtuoso Radim Zenkl. 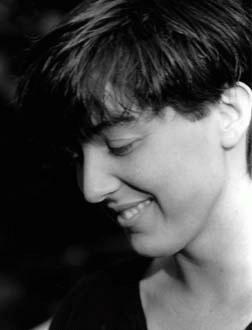 The national publication Performing Songwriter has listed two of her albums, Secret about the World (Waterbug Records, 1995) and Butterfly Tattoo (Little Black Dress, 1993), as one of the Top 12 DIY indie releases, and also included her in their 1997 Editor's Choice compilation CD of the best indie albums of the year. Recorded live at theaters across the Northwest, Corday's latest CD release Painted Door (Waterbug Records, 1998) is already hitting the Top Ten Folk/Acoustic charts at stations from Seattle to Ontario, Canada. The new album also features her song "Still Life" which has been selected to appear in the film "Sacrifices' (Vision Pictures) on a soundtrack with Loreena McKennitt and Ani di Franco. "the real highlights came from Spain's Basque country [Tapia et Leturia], from Nightnoise, and from Erin Corday... a songwriter whose influences extend to Brazil, and she was accompanied by a guy who played a briefcase with his hands (honestly). Another percussive gem from a most unlikely source! ...expect to hear more of her in the near future." Steve Edge Rogue Folk Review, Vancouver B.C.